With over half of the season gone, we’re quickly heading towards the business end of the campaign. Every point counts at this stage. And bringing in the right players in the January transfer window could make all the difference. Whether it’s a hot-shot striker or a defensive rock, Premier League managers will be looking out for players that can improve their team. It’s been a mixed season for Arsenal under Unai Emery so far. But Arsene Wenger’s last Arsenal signing continues to bang in the goals. He’s hit 24 goals in 35 league appearances since arriving for a club-record £56m fee. The striker is joint-top scorer with 14 goals this term. He’s 5/2 to win the Golden Boot at the end of the campaign. It seems like a long time ago that Liverpool’s defence was a clear weak link. Virgil van Dijk almost single-handedly sorted out the Reds’ backline since joining from Southampton. He’s been so good that his £75m price tag doesn’t seem so expensive anymore. The Reds are 8/11 favourites to win the title. Van Dijk will have played a massive part if they do get over the line. Kirchhoff had spent most of his career as a centre-back until Sam Allardyce brought him to Wearside. The German was recast as a holding midfielder for the Black Cats. His reliable displays helped Sunderland to finish two points clear of the drop zone. But injury limited him to just seven league appearances the following year. The German was badly missed as Sunderland finished rock bottom. Brought in from Bolton Wanderers to provide depth at centre-back, Gary Cahill would have a huge role to play for Chelsea in his first half-season. Injuries to John Terry and Branislav Ivanovic meant a half-fit Cahill was pressed into action in the Champions League Final against Bayern Munich. He played all 120 minutes as the Blues won on penalties. The 33-year-old went on to become club captain, but his time at Stamford Bridge looks to be up. He’s 1/6 to join Fulham this month. It’s bizarre to think about now, but Suarez’s arrival at Liverpool was overshadowed by Andy Carroll joining a few hours later. Of course, Suarez would go on to have a much bigger impact on Merseyside. He mainly played wide on the right during those first few months. But there were still glimpses of the world-class striker who’d eventually score 82 goals in 133 games for the Reds. Arsenal sealed a deal for Andrey Arshavin on the final day of 2009’s mid-season transfer window. He was sensational in those first few months in North London. The Russian wizard famously scored four goals at Anfield in a 4-4 draw. He was also named the Premier League’s Player of the Month for April and came second in Arsenal’s Player of the Season award, despite only being there for half of the campaign. Fulham paid £2m – the highest-fee for a player from MLS – to sign Clint Dempsey in 2007. Looking back, he turned out to be a bargain. His first goal for the club secured a win against Liverpool and the club’s Premier League status. The American went on to score 60 goals for the Cottagers. He also helped them to reach the 2010 Europa League Final, notching the winner against Juventus in the last 16. Nemanja Vidic wasn’t a glamorous Manchester United signing. A largely unknown, rugged centre-back, Paul Scholes has admitted he was “concerned” when the Serb arrived. 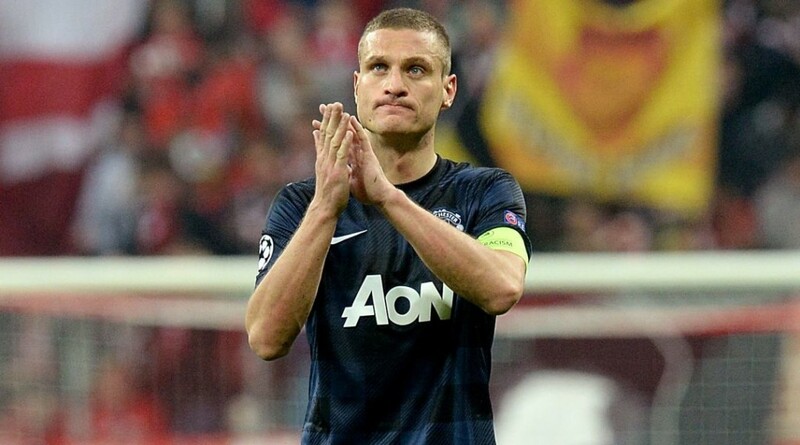 But Vidic proved to be a rock at the heart of one of Sir Alex Ferguson’s best United sides. His partnership with Rio Ferdinand was as good as any in the world. His trophy haul at Old Trafford included five league titles and the Champions League. Like Vidic, Evra wasn’t an overnight success at Man Utd. He was hauled off at half-time on his debut in a 3-1 deefeat to Manchester City. But the French defender went on to make United’s left-back spot his own for the best part of a decade. His attacking runs were vital on the pitch, with his leadership just as important off it. With Birmingham City caught in a relegation scrap, they brought in World Cup winner Christophe Dugarry on loan. It proved to be a masterstroke. The veteran’s goals and influence helped the Blues to finish 13th, six points clear of the drop.